Alexander Symonds is one of the leading and longest serving surveying consultancies in Australia, providing international-standard, high-quality surveying services for commercial development and major construction. Our qualified surveyors have the expertise and resources to manage complex projects, ensuring best practice principles are implemented under even the most challenging conditions. Our ongoing investments in the latest surveying equipment and technology mean we can provide you with faster, more accurate, and cost-effective solutions that will give your project the best chance of success. Our experienced team can manage the entire commercial land division process for you, working with other professionals and statutory bodies to streamline the process and reduce the risk of delays or complications down the track. We provide essential survey solutions for engineering design and civil and structural construction, including topographic, contour and feature surveys, volume surveys, civil construction surveys, as-built surveys and precision engineering surveys. The speed and accuracy of 3D laser scanning mean fewer site visits and faster results than traditional surveys. We capture site features in incredible detail and with extreme accuracy so you can efficiently plan, construct and manage your project. Understanding the constraints that apply to your commercial land or property and which type of land tenure is best for your development requires expert advice and accurate, precise measurements. No client or project is ever the same, so we make sure each solution is tailored to your unique needs. Our licensed surveyors have the knowledge and expertise to accommodate the special requirements of your industry and project, no matter its size or complexity. 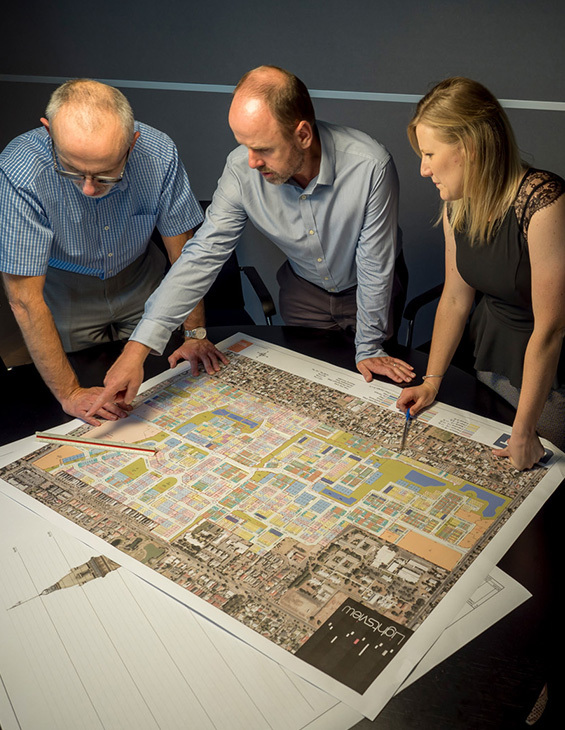 Contact the expert team at Alexander Symonds to discuss your next project and our tailored boundary and land tenure consulting services. We represent your best interests to ensure your project is delivered successfully and as efficiently as possible. Our team of expert, qualified surveyors are dedicated to providing you with detailed knowledge, professional foresight, and clear, open and honest communication through every step of the process. Each development is unique which is why we take the time to understand your goals and requirements and provide tailored, individual advice to each of our clients. We’ll work closely with you to establish the requirements of your development early on so we can deliver the best value to you in the most efficient way. Contact our expert team at Alexander Symonds for a free quote or to discuss your project with a senior surveyor.